t*rexes and tiaras: i'll be over next year, darling.. I think this might be one of my favourite outfits for a little while. 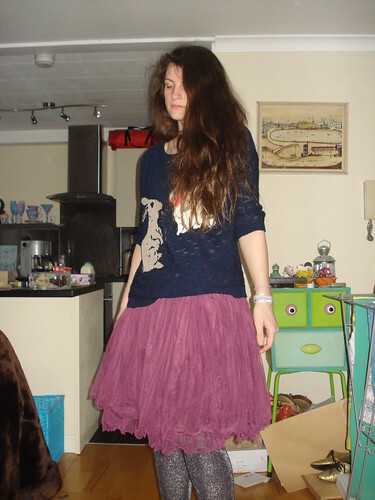 I decided something a little partyish for dress-down Friday (or in my case "dress as you like Friday") and dug out this skirt, which I've not worn for a while. 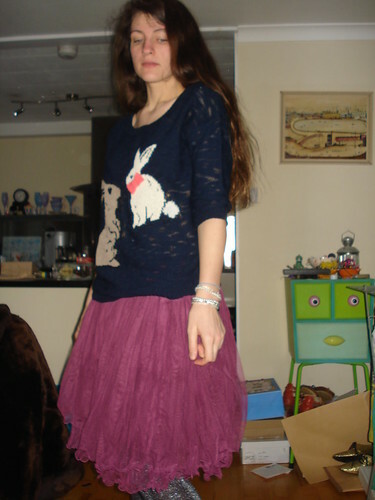 I couldn't wait to wear this cute jumper, which my mum bought for me earlier in the week, from Asda of all places! A jumper was certainly needed when I saw the snow out of the window - it's still swirling around even now, which is annoying as I have to go to a course in Leicester today. 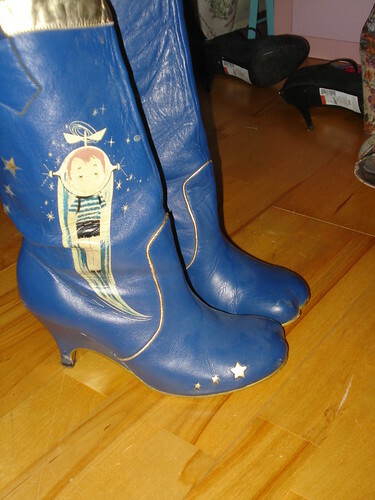 I decided that boots were better than shoes for snowy cold weather, so tried to think of a pair of boots to go with the jumper and skirt, and remembered this spaceman pair - I'm not sure of the name of the style, I'm hoping Gem will be able to help when she reads this..? Cute jumper too, I've seen some lovely bits in Asda recently. OK you look AWESOME, I LOVE these boots!